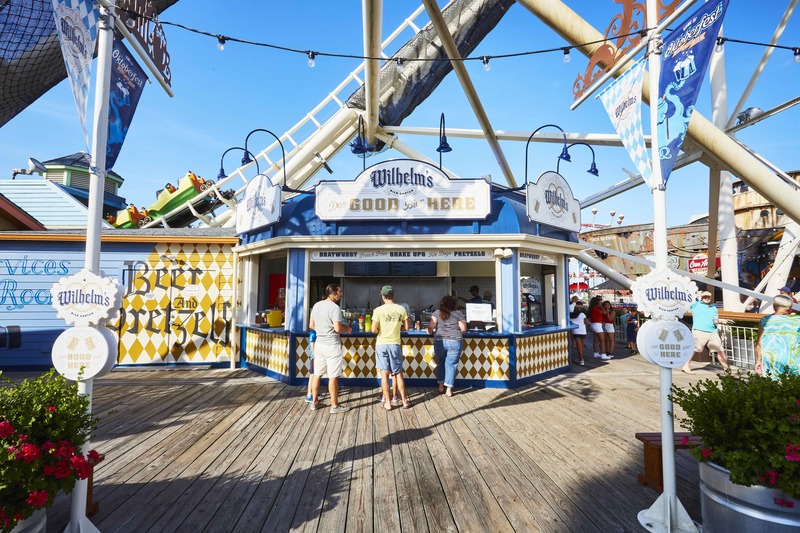 Wilhelm’s is named after our co-founder, Will (Wilbert C.) Morey and his love for German rides and most of all Oktoberfest in Munich, Germany. In the late 1970’s, Will would annually go to Oktoberfest (which, by the way, is in September) to see the rides and light shows on display. Oktoberfest was the premier location to see all the new German engineered and manufactured rides such as the Waveswinger, Pirates, Flitzer, Enterprise, Himalaya, Jumbo Jet, and even the Schlittenfart and many more. 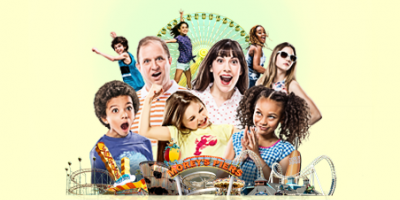 Several of these rides would find their way to Morey's Piers as Morey's went through this period of growth generally known as the Euro-invasion. Of course Oktoberfest was not just about rides, it was also about beer. Beer that was served in giant tented beer gardens and no beer garden was complete without giant German pretzels and mouthwatering sausages. 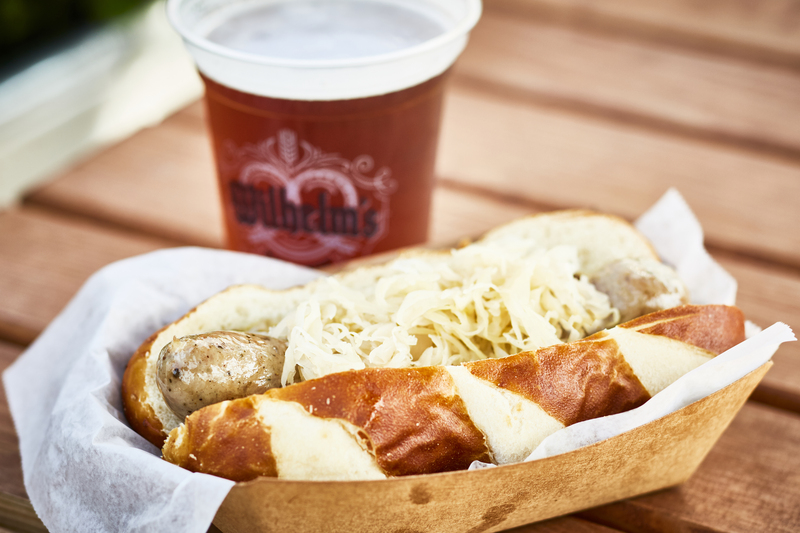 Wilhelm’s is our very own Bavarian wink back to a very influential piece of Morey's history. 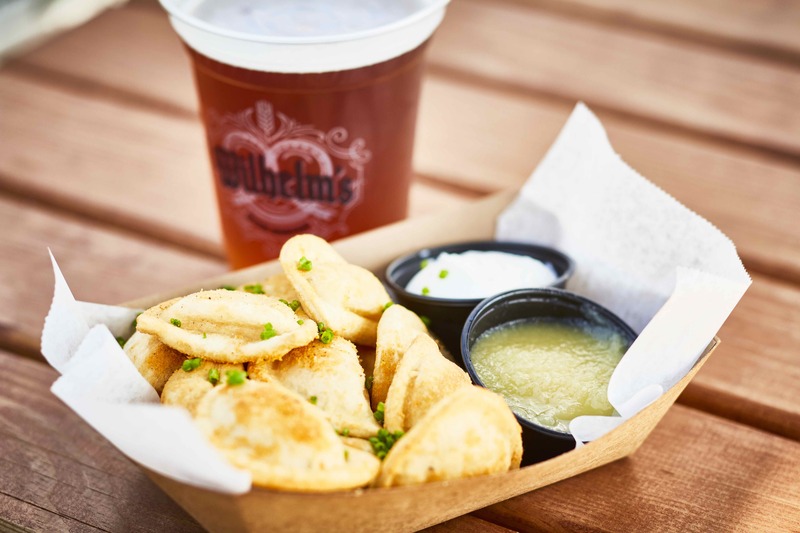 Here guests can enjoy German influenced fare along with German and locally crafted beers. 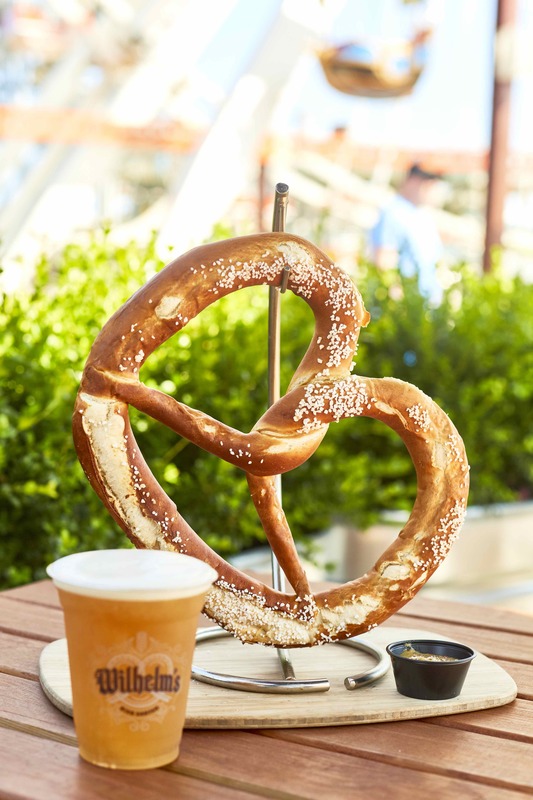 Take in the sights and sounds from as you commune around picnic tables in the bier garden. As they say in Germany, Prost! Fried Pierogis served with apple sauce and sour cream. 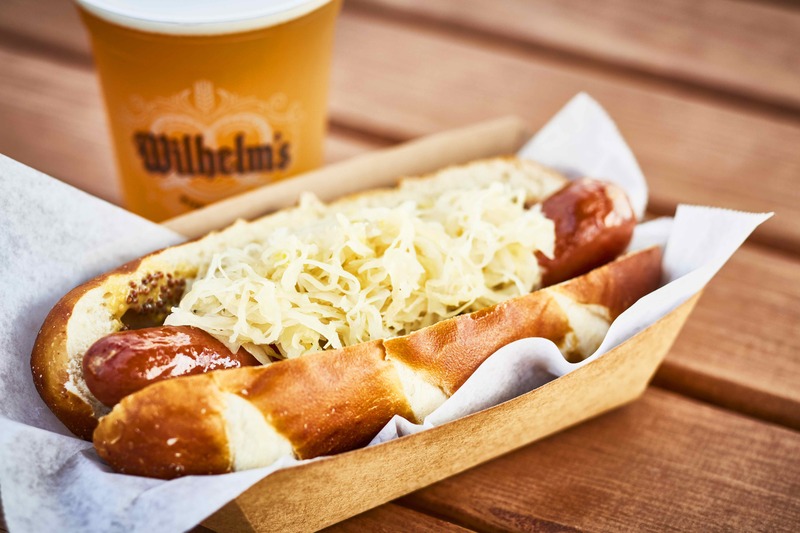 Cheddar Bratwurst Sandwich - Bratwurst with mustard and sauerkraut served on a fresh pretzel roll. Bacon Stick - Fried Pierogis and bacon on a skewer.